The other day I wrote about some of the weeds of significance we have on our property. Tree-of-Heaven (Ailanthus altissima) was one weed that we had identified using the excellent Weedwise app and I decided it was to be the first on my hit list. I thought we had one tree and a handful of suckers. My initial assessment was wrong. Very wrong. 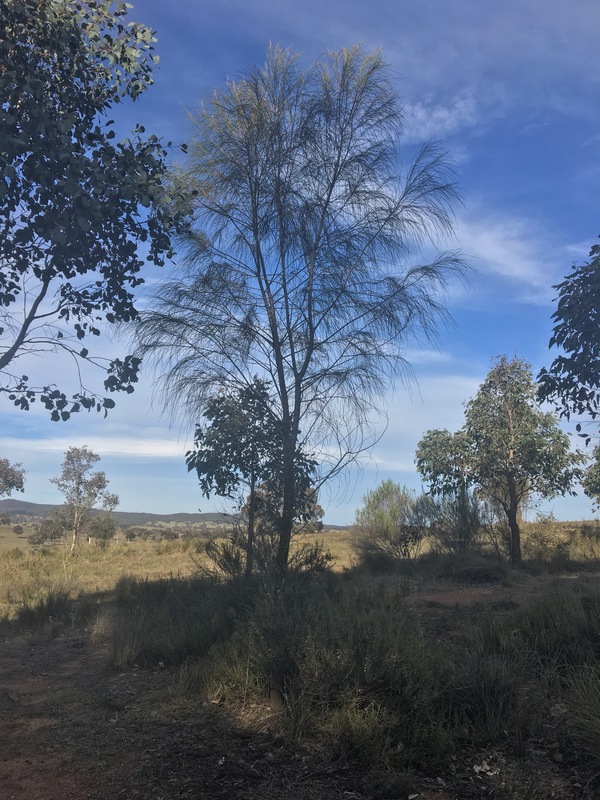 I found we had a thicket of around 40 trees, between 4 and 6 metres tall, in a nook between an old timber and wire fenced horse paddock and the boundary. Tree-of-Heaven is a deciduous tree. It forms dense clumps or thickets from suckers which spread from its roots. These clumps out compete other more desirable plants. It is a major weed in North America where it is choking natural woodlands. Once established, it is very hard to get rid of. I decided the best approach was to first mechanically remove the trees and slash or dig out the suckers. Then any future growth would be small suckers that I will be able to spot spray to kill the plant. The first step was to drop the trees. Thankfully the timber is very soft and light, and the chainsaw made short work of dropping the trees. The old timber fence was abutting up next to the thicket, but as it was already in need of replacing, I ended up felling a few trees onto the fence. This made it easier and safer to fell the trees, and allowed me to protect some of the other trees growing in the vicinity. The result was small mountains of branches and logs. Without an army of helpers to move the logs, I put the stick rake / blade onto Lucie the old International 674 tractor, and set to work. Lucie unleashed all 61 horses (perhaps a few have escaped the stable in the intervening years) and pushed the logs into a couple of large piles. It sure beat man-handling the logs. The next step was to remove the stumps. I had deliberately left them quite tall, to allow me extra purchase when pulling them out. If I had the room, I would have pushed them all over, but as this encroached on the neighbour’s place, I had to pull most of them out. A recovery chain proved most effective. Before I bought the tractor, I used to use the 4WD to pull out stumps, but the tractor with its low gearing, agricultural tyres and 4WD allowed me to pull them out in a far more civilised manner. The war against weeds is far from over, but we have taken a few steps in the right direction. Lucie is proving her worth as a reliable and hardworking spare hand. After we had pulled out the weeds, I treated her to a change of oil and some fresh grease on the moving parts. Over the next few days I hope to change the fuel and air filters too. Then she will be good to go for another hundred hours or so. In the meantime, it is nice to sit back and relax. Moving out to a hobby farm isn’t for everyone, but you might have figured I love it out here. Especially when you get to take a few moments to enjoy a sunset that makes all the hard work worth it. It has been a hot few days on the new Rock Farm. I will talk about our fire-plan in the near future, but in the mean time I have been researching some of the weeds that I have identified on the property, and developing strategies on how we will deal with them. The best place to learn about weeds in our area is the NSW DPI (Department of Primary Industries) WeedWise website http://weeds.dpi.nsw.gov.au/. The NSW WeedWise page is a wealth of information about what plants are listed as declared weeds in NSW, including priority weeds for different regions. They also have a handy WeedWise App, which I have downloaded onto my pocket brain. This means I have access to the full weed database and recommended treatment options all the time. Managing weeds is the responsibility of the land owner. Sadly infestations of certain weeds can render arable farmland next to useless. It is also the source of much frustrations between neighbours particularly given the way most weeds spread with no regard to fences or boundaries. Whilst I would love to ensure our weed management practice is chemical free, I don’t believe this will be achieved in a timely or cost effective manner. 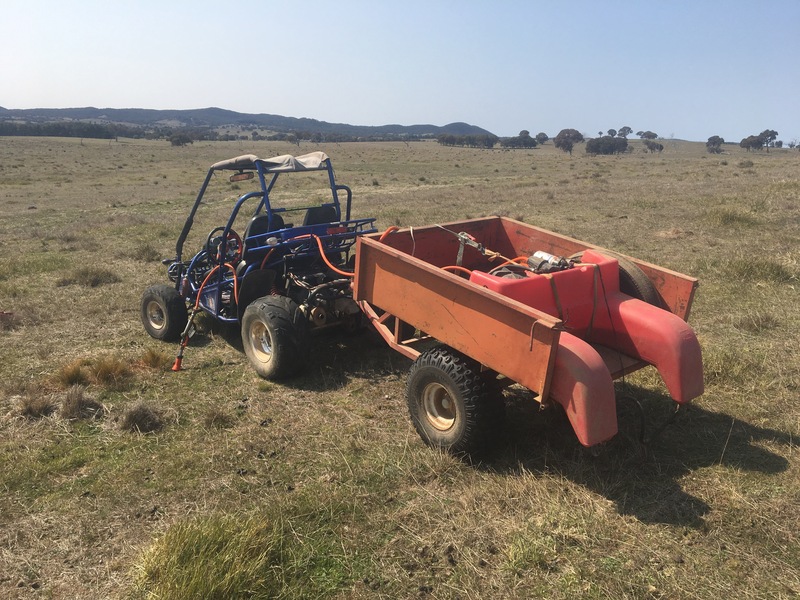 The WeedWise site and app provide information on chemical free, mechanical and selective grazing weed removal techniques, as well as methods using chemicals. But no matter what technique you use, the best time to start is the present! Tree of Heaven (Ailanthus Altissima) is a plant of Chinese origin that is highly invasive and quickly chokes an area. I have found one large plant and dozens of suckers in one of the old horse holding paddocks. Mechanical removal requires the removal of all root matter as it will readily shoot from the smallest remaining root. This will take concerted effort to get rid of, and will be best approached with a combination of mechanical and chemical methods. Sweet Briar – (Rosa Rubiginosa) Is common in a lot of our paddocks. Sheep eat young plants whilst goats will defoliate and ringbark the plants, killing it. I have slashed a number of these plants in the paddock the sheep are in, hoping that the sheep will eat the young shoots as it re-sprouts. Apparently cattle don’t eat Sweet Briar – meaning sheep stay part of the wholistic management process for this weed. Hawthorn (Crataegus Monogyna) is also present but thankfully in only small numbers. 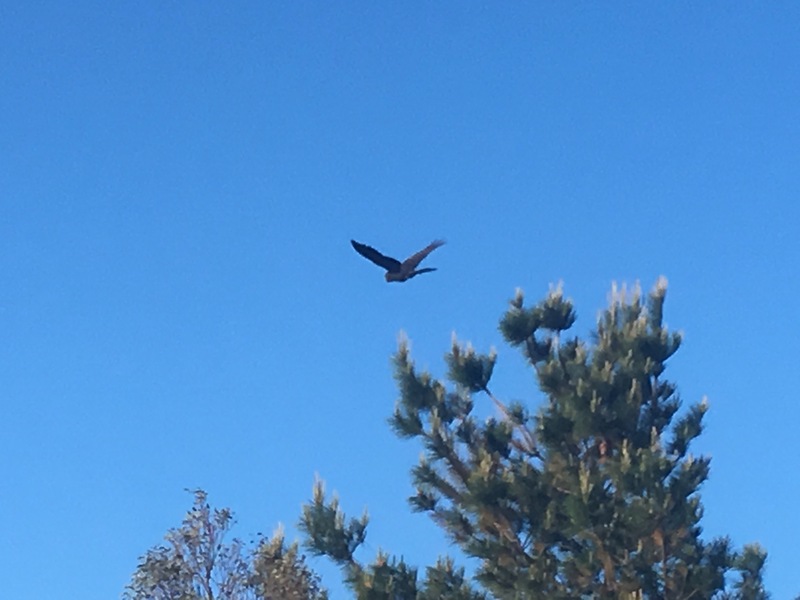 I will try to keep on top of the Hawthorn thickets and ensure they are mechanically slashed and see if the sheep will keep on top of the suckers. 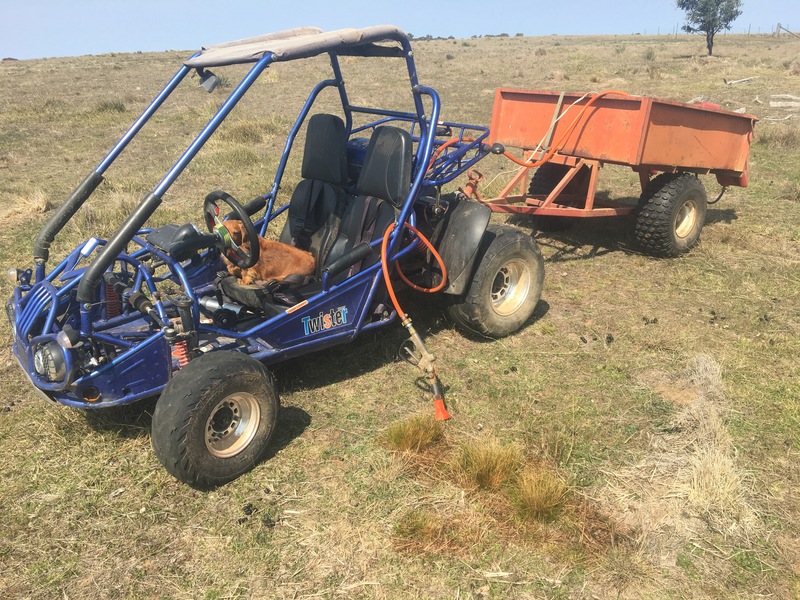 The only catch to all this is I need to ensure my paddocks are sheep proof – and this will take additional work! Serrated Tussock (Nassella Trichotoma) is common on our property. It made its way to Australia during the Gold Rush of the 1850s where it was used as stuffing in saddles. Not palatable for stock, it is most cost effectively controlled by spot spraying individual plants. The main chemical, flupropanate can also be applied in a granular form using a device similar to a salt shaker. 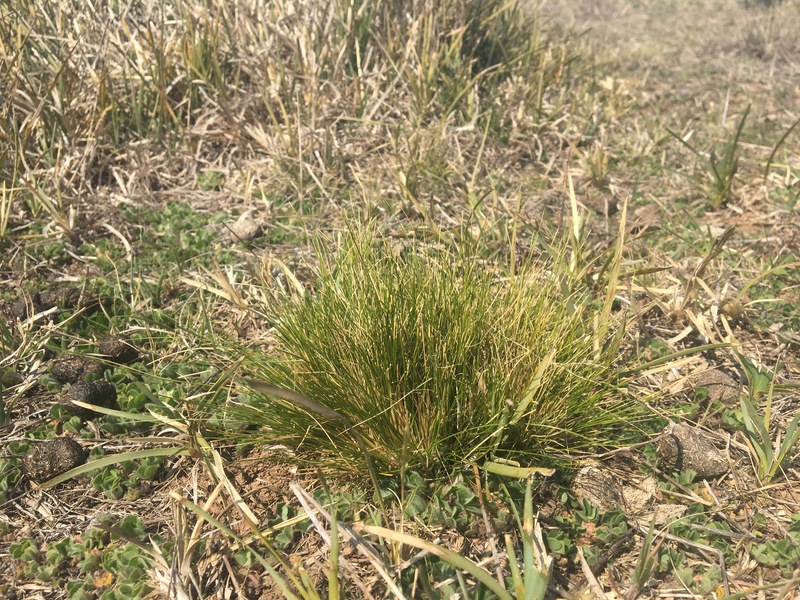 The granules will activate in rain and provide a long term herbicide against re-germination of the plant, with minimal effect on other pasture, or it can be sprayed in a solution form. Weed control is one of many competing demands on my time at the new Rock Farm – but I hope to have these plants under control and better managed within a year or so. If anyone is keen to come and help me chip out some weeds, I’ll gladly shout you lunch!